The Town’s Planning and Inspections Department is located at Town Hall and includes Director of Planning and Inspections, Building Official, Administrative Zoning Technician, and Code Enforcement/Inspections Official. The department is involved in commercial site plan review and can offer advice for residential projects. The Director works with the zoning code and advises clients on what is allowed on a piece of land. The zoning code is found on the Town Code page of this website. 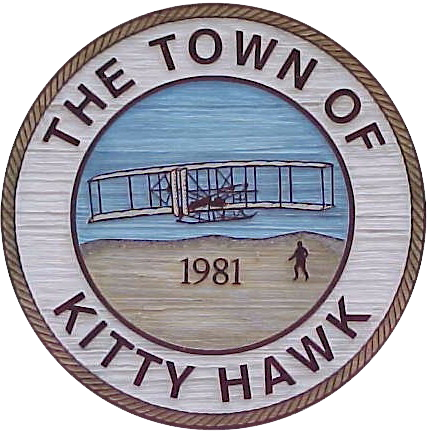 You may download the planning departments procedures for how to apply for permits and how to go through the proper avenues to building in Kitty Hawk. The document is in Adobe Acrobat format. The Town’s Building Official reviews approved residential and commercial construction to ensure that the construction meets the codes mandated by the North Carolina Building Code. NC Floodplain Mapping Program Property owners can locate and view their property in realtion to flood zones.